Hi. 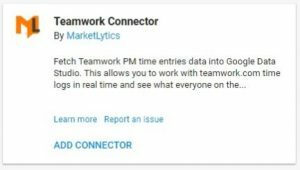 I’m Daniel from OnlineMarketingTechs.com and today, I would like to show you some of the Google Data Studio Connectors. Data Studio. 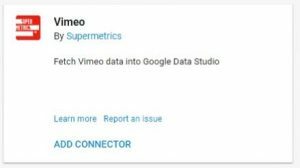 Now Google Data Studio is one of the best analytics reporting platforms that there is. 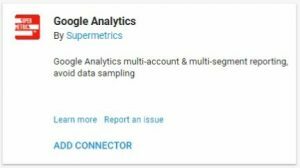 It allows you to import different analytics or online marketing data sources into one place to where you can view real-time reports, update, and really parse out data that you’re not allowed to do on a lot of the individual analytics platforms. Now, most of these connectors are paid connectors. You have to pay for them. But, they are worth it for some marketers. If you don’t need some of these extra features, then I recommend not getting them. 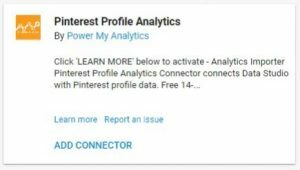 But, if you do, I highly recommend these platforms or one of these connectors that would work best for you and use it for your business. 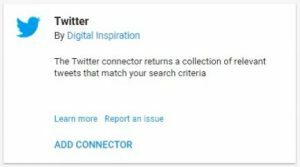 I’m just going to go briefly through some of these connectors so you can see what they have to offer. Here’s Supermetrics. You’re going to see them a lot. That may be one of the options that you will want to go with. With them, you can import all sorts of social media platforms and their analytics reporting. Bing, AdWords, it’s really fantastic. In fact, we’ll go ahead and look at their landing page real quick so you can see some of the cool stuff. So, you can get a free 14-day trial to see if it’s right for you, or you can buy it now. Here’s a template. That’s a template for Facebook or multiple campaigns. But they’re $19 a month. 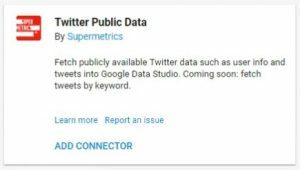 You can unite the data for multiple marketing platforms into the data studio. From PPC, social, email, payment platforms, and all types of different really cool stuff. And if you can’t find out the right integration, they will build one. That’s how good these guys are. Cross-platform reporting. So, in the same charts, you can add multiple connections into the same charts like AdWords, Facebook, Instagram, Twitter, LinkedIn and Bing and all that stuff. 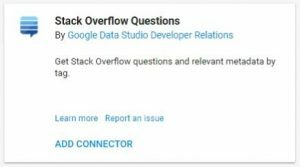 If you’ve been doing this before, you don’t have to report CSV files or connect your Google Datasheet (which can be daunting for a lot of advertisers).It gives you automatic reporting and real-time updating. Supermetrics has a lot of really cool things. 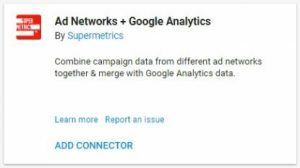 In fact, a lot of the other connectors that we are going to be showing are from Supermetrics. So, they also have Adform. 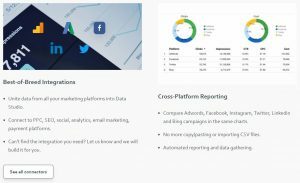 Adform is a marketing platform and Supermetrics allows you to pull your data from that. If you are familiar with Adform, you will be able to pull this in. If you’re not familiar with Adform, this doesn’t matter to you. 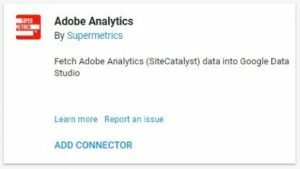 Adobe Analytics… there are a lot of advertisers using Adobe Analytics. It’s a phenomenal platform. Adobe doesn’t do anything that’s not excellent. so, that’s just a fact. 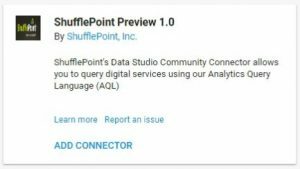 So, if you’re using Adobe Analytics, you can import this into data studio and pull from multiple sources. 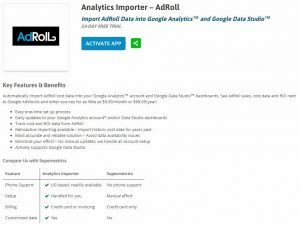 AdRoll… if you’re using AdRoll, you can import this information. 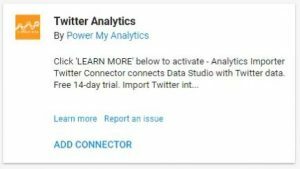 This is from Power My Analytics. Power My Analytics is like Supermetrics. The work a lot, as you can see down here with Amazon and some of these other product selling platforms. 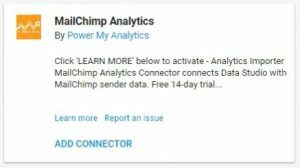 If you’re using AdRoll, this may be the way to go for your business. 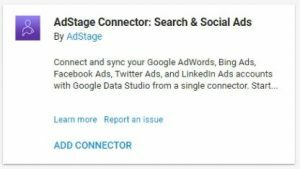 AdStage is also another automated enterprise platform that would be really excellent to bring into Data Studio, if that’s for you it’s another paid platform. In fact, let me go back to Power My Analytics and look at their landing page. Let’s see what they have to say. This is the landing page specifically for the AdRoll connector when you activate the app. You can get a 14 day trial just like the others. It’s $9.95 a month. Easy one-time process. 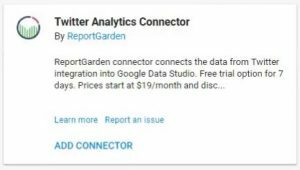 Updates you Google Analytics account… Data Studio… tracks ROI from AdRoll. 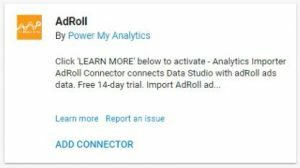 If you’re not familiar with AdRoll, AdRoll they have over 250 advertising platforms that they publish advertising content to. So, it’s really Cool. If you’re using AdRoll, this might be the way to go for you. Let’s go back here. 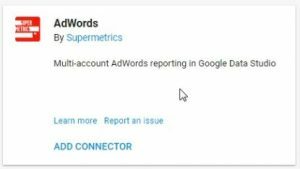 Now you can automatically get AdWords accounts into Data Studio, but this connector allows you to apply multiple accounts to the same report or the same widget as well. It’s pretty cool, I think you’ll like it. If that’s something you’re interested in. 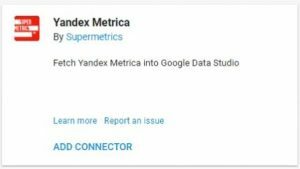 Supermetrics might be the way to go for you. 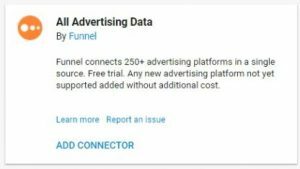 All Advertising Data by Funnel. It connects 250+ advertising platforms int0 one source. There’s a free trial for them. You might want to check them out. I’m just going to breeze through the rest of these. Some of these might be right for you, but some of them might not. 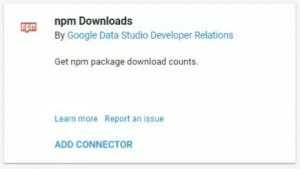 Products…import the data from that. Same thing. 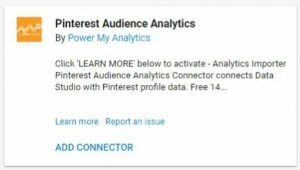 Once you have Power My Analytics, you can add this connector as well. This may be a great way to go for your business if that’s what you need. 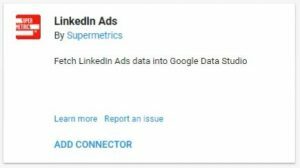 Joins data sets, gets unsampled data from Google Analytics accounts, connects to SQL Server, Redshift, Oracle and more. 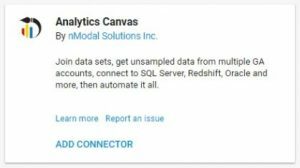 So, if you want a more tech reporting from your SQL Server and multiple Google Analytics accounts, Redshift, Oracle; you might want to check this out. 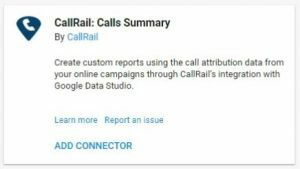 Create your own custom reporting using CallRail’s attribution data from your online campaigns through CallRail’s integration. That’s really cool to get some call reporting into your reports. 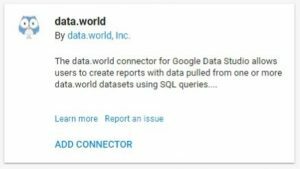 This is a connector that allows users to create reports with data pulled from one or more data.world datasets using SQL queries. That’s pretty cool. 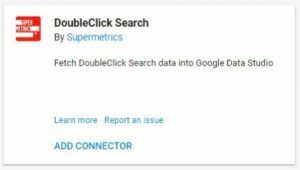 If you use the DoubleClick Ad exchange, you can view some of the analytics from Supermetrics. If you’re a product seller using eBay or Amazon, Power My Analytics looks like they might be worth the purchase for your business. 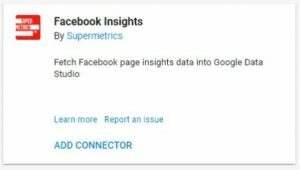 Will fetch facebook page insights into your Google Data Studio. You’ll see that these are the two top ones. There are a lot of competing ones. Power My Analytics is really more for products. 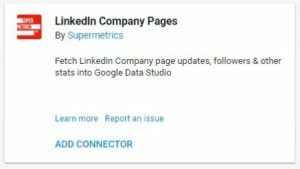 Supermetrics has really awesome social media, from my experience, social media integrations and connectors. 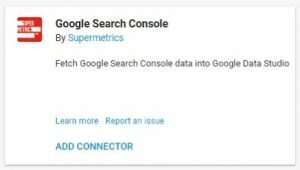 Google Search Console data would be really cool to have in your reporting. 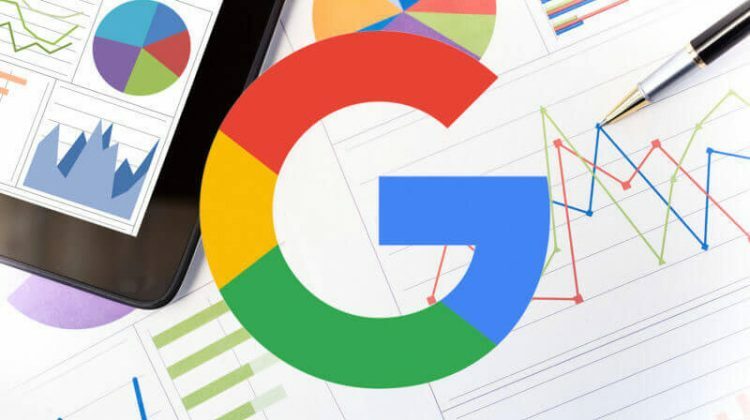 You can pull some of these reports from your Google Analytics if you already have this connected to your analytics, but you can also pull it from here. This is a big one for many businesses. MailChimp… you might want to get Supermetrics for that. Fetch project ranking data from Marketing Miner into Google Data Studio. So, if you use Marketing Miner, you might want to check out their connector. 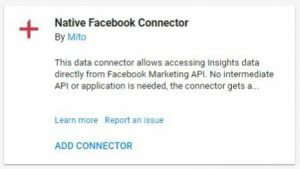 This is a free connector that connects to the Facebook Marketing API from Mito. 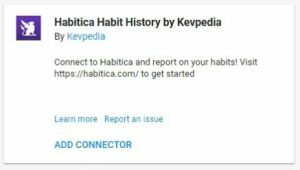 Google actually sent me an email that turned me on to this, and I was like “Yeah, way cool. I like it.” So, I definitely had to check it out. It’s from Mito. You might want to add that connector. 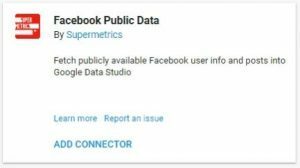 At least check it out because Google Data Studio doesn’t automatically have support for Facebook. 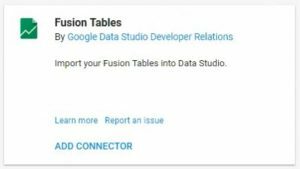 But if you use Google Sheets and you know how to integrate it with Data Studio, then you can pull the information from that, but it’s not for everybody for sure. So, I really like that they have this one. Reddit is really cool. So, you may want to pull some data from there. Supermetrics is really, really awesome. This is kind of new. 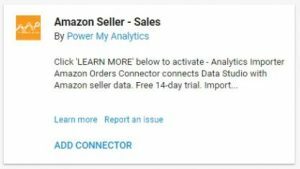 Being able to have this information could be a game changer for many businesses that use Salesforce. 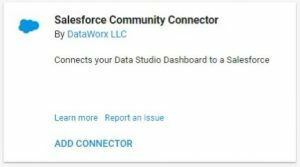 I definitely recommend that if you’re using Salesforce, check this out. SEMrush is a competitive web analytics research tool. It’s really really cool. I like SEMrush a lot. You can pull a lot of competitive metrics. Basically, you can find out how you’re performing on the search engines and across the web; and how your competitors are. SEMrush is really cool. If you have that, you can pull that information in by Supermetrics. If you use Stripe, you can pull all of that information in. 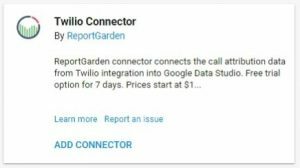 If you’re using Twilio for your calls, then definitely check out this. Here are some open source community connectors and these are really really really cool because they’re free. Learn more about these. Just go in and find out what’s right for your business or your clients and use these connectors to get the most out of your business if it’s right for you. I highly recommend it. If you need more help with your online marketing or your analytics reporting, contact us at onlinemarketingtechs.com. Have an excellent day. Wow, this is a great overview. I’m going to check these out. Great article. 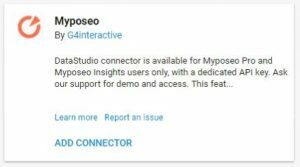 I like Data Studio and these make it much more accessible with other platforms. Trouble Linking Facebook & AdWords Conversions? A Surprising New Free Solution!